Bharat Gandhi, MD, at Medinet Family Care Clinic in Houston, Texas, is an expert, board-certified practitioner with over 30 years of experience working in the field of internal medicine. Dr. Gandhi received his medical education at the Government Medical College of Surat in Surat, India, in 1980 and completed his residency in internal medicine from Texas Tech University in El Paso, Texas. Using his years of experience working in the emergency room, Dr. Gandhi applies his in-depth knowledge of medicine to ensure the well-being of patients of all ages. Dr. Gandhi is multilingual, speaking Hindi, Gujarati, and English. This enables him to build long-lasting relationships with the international community in Houston. His compassionate and detail-oriented approach to internal medicine ensures that his patients receive appropriate and effective care to address any eventuality, urgent and standard, that daily life might precipitate. 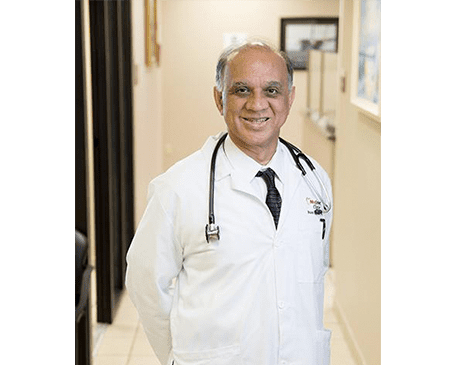 Dr. Gandhi is affiliated with the Gulf Coast Medical Center, CHI St. Luke's Health - Baylor St. Luke's Medical Center, and the West Houston Medical Center.